We have been decorating commercial properties and homes since 2004, proud to bring our unparalleled expertise and eye for detail to every commercial and residential project we take on. Using only the highest quality materials, our goal is to consistently deliver exceptional results at competitive prices. 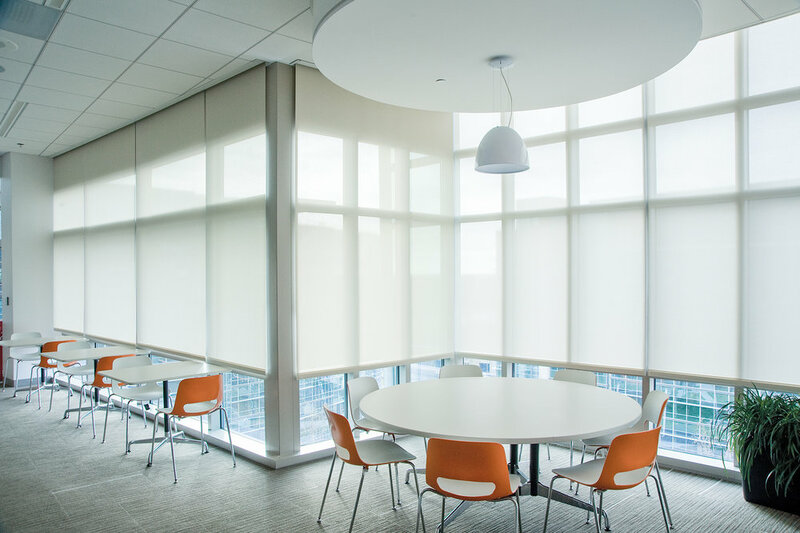 We service all of New England with high-quality blinds, shades and draperies to dress up your home or business windows. Rely on us as your custom window treatment specialist in Massachusetts, New Hampshire and beyond. From Cellular to Roman, our shades give you the versatility you crave. Vertical to horizontal, our blinds are designed in a variety of fabrics, styles and functions. Control the amount of sunlight you want with our customized shutters. Featured photos are courtesy of Hunter Douglas Blinds & Shades and Springs Window Fashions.